Awards created from Renewable & Sustainable materials and Recycled materials. The Bamboo nameblock is a great gift idea for any occasion. This piece has your meesage/name lasered directly into the bamboo wood allowing it to stand out. 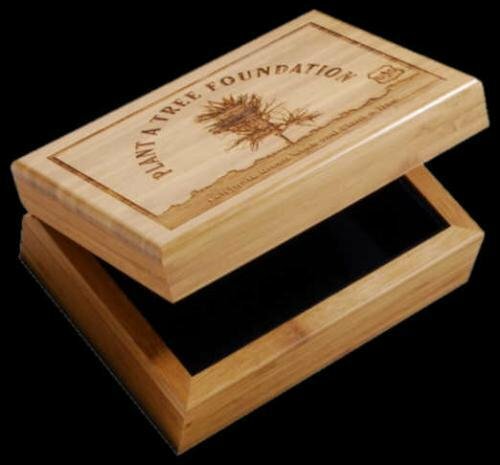 10 1/2" x 2 1/4" x 1 3/4"
The Bamboo keepsake box is a great gift idea for numerous occasions such as a birthday, wedding or coorporate event. This box is made out of the finest bamboo. Laser engraving creates a unique and permament message. 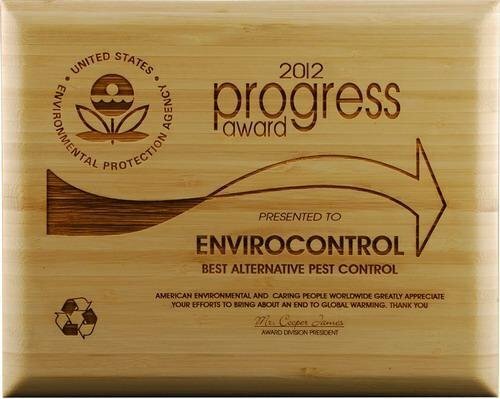 The Bamboo wall plaque is perfect for your eco friendly company. These plaques can be given to your quarterly award winners or your top performing employees. Availible in 4 sizes. 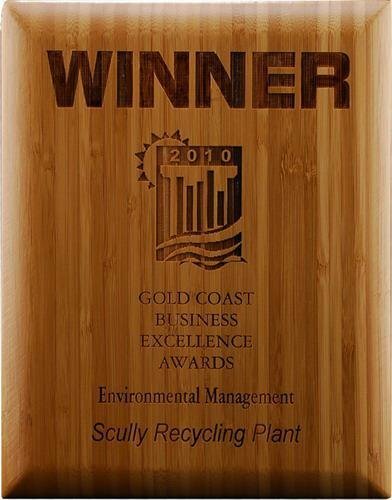 The Amber Bamboo wall plaque is perfect for your eco friendly company. These plaques can be given to your quarterly award winners or your top performing employees. Availible in 4 sizes.